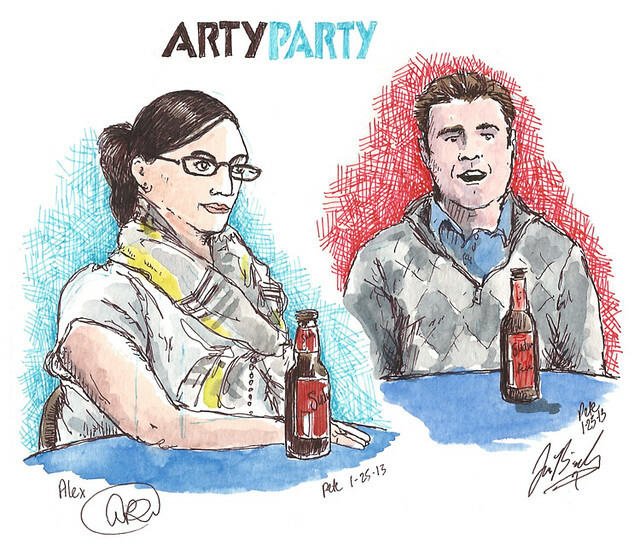 Last Friday, at the end of a ridiculously busy week, I went over to the Davis Art Center (helpfully located a few minutes from my house) for their latest “Arty Party”, organized by Shelly Gilbride and Ariana Rundqvist. It’s the second one, and there will be more so check out the Davis Art Center’s website (http://www.davisartcenter.org) for details. I sat down and started sketching people (something I enjoy more and more), starting with this couple Alex and Jon Bieda. 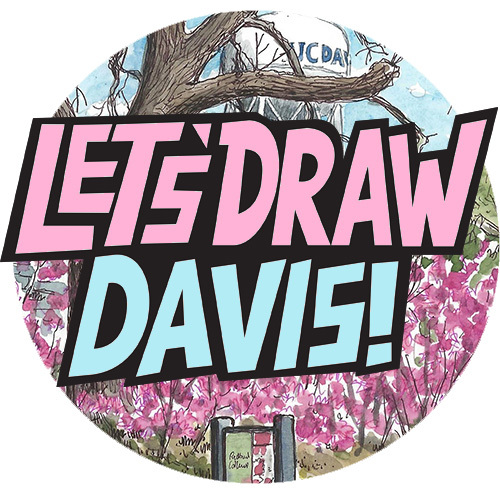 While I sketched, well-known Davis artist Heidi Bekebrede, who was also sat at the table, sang the “Davis song”, a song about Davis which I think anyone who has lived here will certainly get (you can see a video of the song here on Youtube). Very cool to have it sung in person by its singer. I was going to sketch more people, but they all started drifting off, and Friday night was catching up with me, so I spent the rest of the evening talking urban sketching, Boal and art projects.